Extraordinary Dogs: A very special relationship between a boy and his dog! A very special relationship between a boy and his dog! 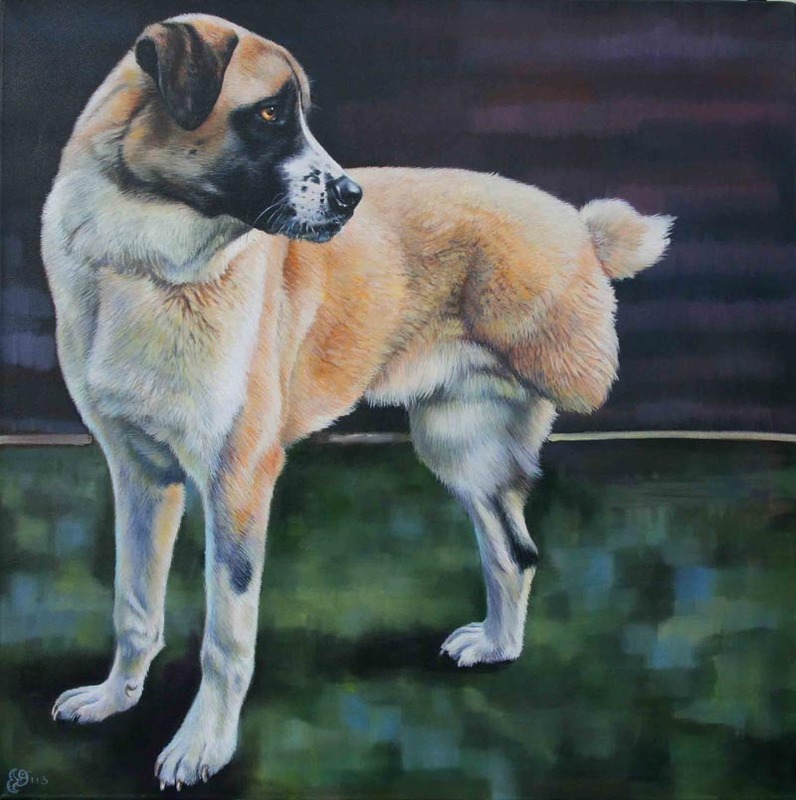 An Anatolian Shepherd named Haatchi overcame a terrible act of cruelty to become the best friend and inspiration for a young boy with a rare genetic condition. In January 2012, Haatchi was deliberately tied to a railway line in England and was hit by a train. Five days later, he was rescued by the RSPCA. He lost a leg and his tail and was waiting for a forever home when Colleen Drummond and her husband Will Howkins saw a photo of Haatchi and decided to adopt him. Their son Owen, has Schwartz-Jampel syndrome, a rare genetic condition which causes his muscles to constantly seize involuntarily. Before Haatchi joined Owen’s family, Owen was struggling with being different. He was anxious at school and uncomfortable around strangers. But the moment the two met, both their lives changed. "As soon as they met, the effect Haatchi had on Owen was incredible. Before his arrival, Owen didn’t like going out – he was practically agoraphobic," Colleen said. "Owen used to be scared of strangers, but now he wants to talk to everyone about Haatchi and wants to go out all the time to dog shows. The difference we see in him can’t be put into words." Since then, their friendship has inspired others worldwide. They regularly attend dog shows and public events sharing their story. The two attend fundraising events together and have made friends and fans from all over the world. "They're a team. They work together so well," says Colleen. Said Owen, "I used to be scared of strangers, then Haatchi came along and now I'm not and that's how he changed my life. I didn't really meet many others with disabilities and felt like the odd one out, which made me really sad. But when I saw Haatchi and saw how strong he was, even though he only had three legs, I became stronger myself. I love him so much." Haatchi, the Anatolian Shepherd Dog who is best friends to Owen Howkins has been awarded Crufts "Friends for Life". The British-based dog show gives the award to a dog who displays outstanding bravery, support and devotion to their family. The public casts the votes. Congratulations Haatchi & Owen! You can follow Haatchi & Owen on Facebook here!